Department of Justice (DOJ) Secretary Menardo Gueverra issued the statement amid calls, such as that coming from Sen. Risa Hontiveros, for Acosta to leave her post following the vaccination scare that reportedly resulted in a measles outbreak and deaths of more than 70 people. MANILA, Philippines — Only Public Attorney’s Office (PAO) chief Persida Acosta can decide if she wants to resign from her position. Acosta is being blamed for the decrease in the country’s vaccination rate following her approach to the Dengvaxia anti-dengue vaccine fiasco. “It’s not (anyone else’s) call,” Guevarra said. 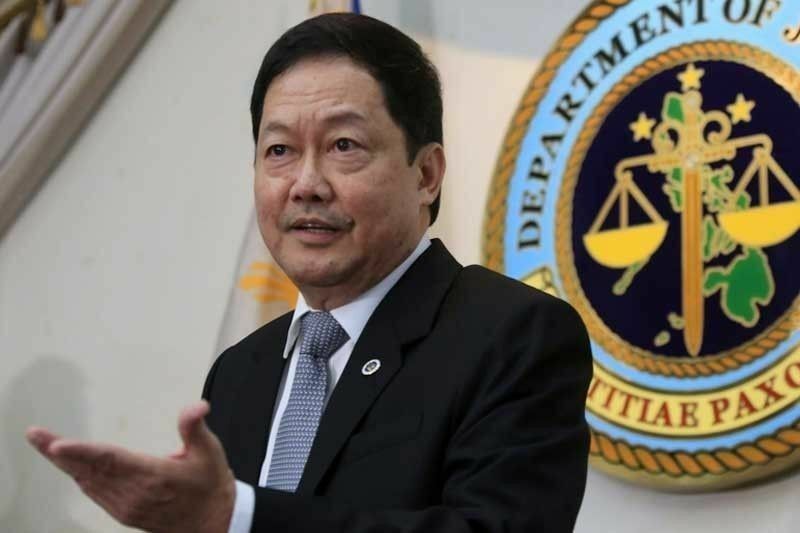 Guevarra also said Acosta only mentioned Dengvaxia in the complaints that she filed before the DOJ in behalf of the families of the victims. The PAO has filed a total of 32 complaints before the DOJ. “(Acosta) has never mentioned any vaccine other than Dengvaxia in the numerous criminal complaints filed before the DOJ. If there was any negative effect on the government’s immunization program in general, or on the anti-measles campaign in particular, it was surely unintended, in my opinion,” Guevarra added. The DOJ chief earlier said Acosta was only doing her job and did not intend to scare the public about the possible negative effects of vaccination in general. In an earlier interview, Acosta denied responsibility for the measles outbreak, adding that the outbreak was a result of the “failure to campaign” for immunization by the Department of Health (DOH). Amid the controversies hounding Acosta, the PAO has touted its accomplishments last year that included servicing over 13 million clients. PAO has a roster of 2,096 lawyers who each handled an average of 465 cases last year. There were 351,227 terminated criminal cases, PAO noted in its 2018 annual report, 83.68 percent were of favorable dispositions for indigent clients. Aside from the Dengvaxia controversy, PAO also handled one of the biggest cases last year – the trial of the policemen tagged in the killing of 17-year-old Kian Delos Santos. The two policemen were found guilty of murder by a Caloocan court. On Dengvaxia-related cases, a total of 17 civil cases and 30 criminal complaints for reckless imprudence resulting in homicide and violations of the Anti-torture and Consumer laws have been filed by the PAO. PAO said families of 2,109 recipients of Dengvaxia have sought legal assistance.